Made for attacking players, the Asics Gel-Solution Lyte 2 men’s tennis shoes will comfort and support your feet on all court surfaces so you can focus on and maximise your game. 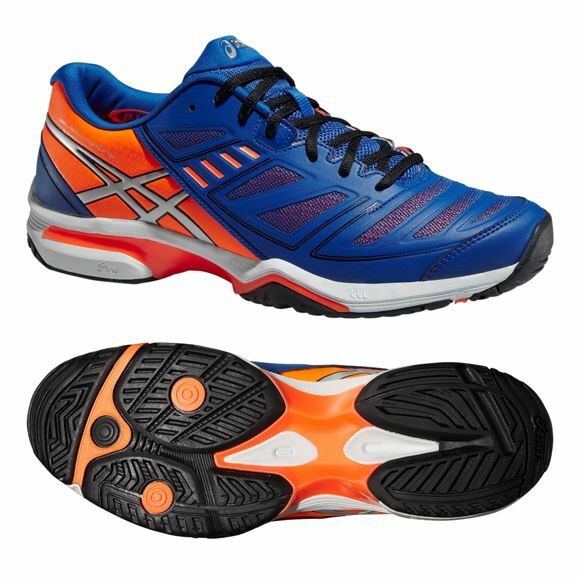 These shoes are light and help you cover ground across the court quicker thanks to the Propulsion Trusstic system and the AHAR+ outsole that improves cushioning and ride and delivers great traction. The open mesh upper allows feet to breathe and enhances stability and comfort. The Pguard compound protects feet and the high-quality midsole ensures excellent levels of comfort and durability. The forefoot and rearfoot GEL® system attenuates shocks and smoothens transitions for more flowing movement, and the memory foam material in the heel gives you a personalised fit. for submitting product review about Asics Gel-Solution Lyte 2 Mens Tennis Shoes.